Despite growing trends, Television is still the number one media to reach the masses. Television is an effective piece of your marketing mix, placing your brand in front of a large, captive audience. Because the demographic is broad, we like to create a generalized, less specific message, reminding customers of your brand when the time is right. Smart Marketing partners with local networks and companies, to target very specific geographic areas at a lower cost to you. Carefully planned, well-executed, radio campaigns can produce immediate results. What better way to reach a customer, than to deliver your message while the individual is on the way to shop. As with television, the reach is broad, and radio frequency makes an impression. Radio provides you a cost-effective approach to send your message over and over to your customers, creating top-of-mind awareness. 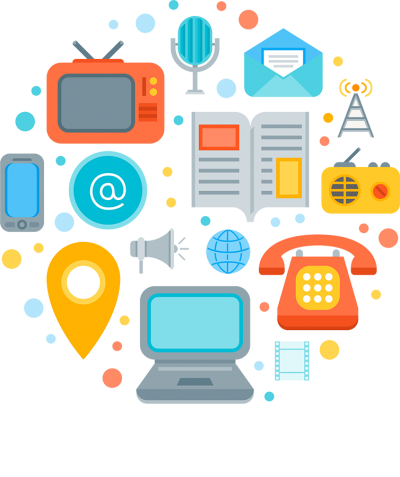 From local, spot radio to sports radio to AM/FM, Smart Marketing considers all relevant channels in planning your marketing mix.